13 bands in 1 day. 10 from Singapore and 3 from overseas. Are you guys ready for this? All tickets subject to admin charges charge. Bring lotsa of money on that day since there will be quite a few merch booth. 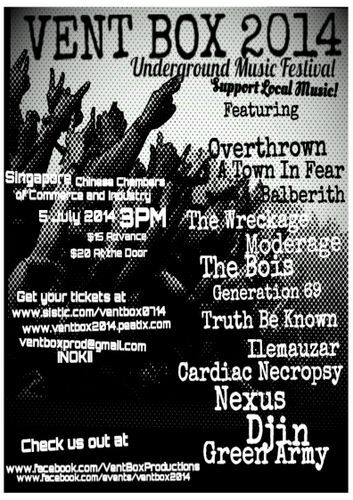 Be there to support all the bands!